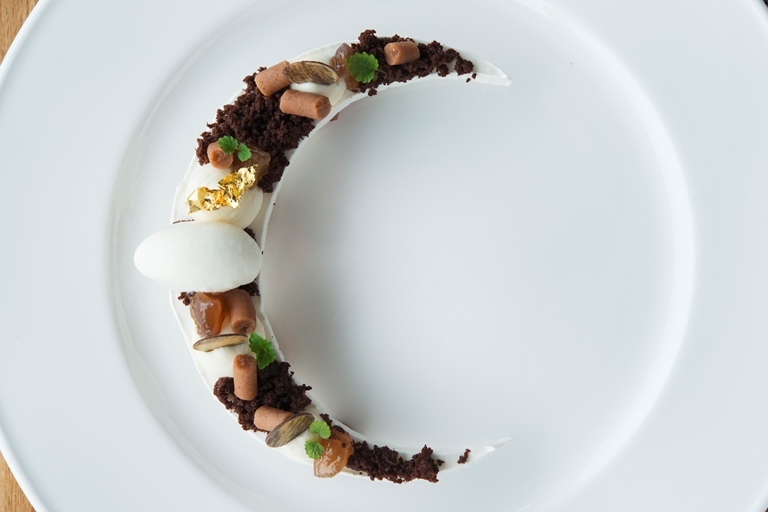 Viviana Varese's visually stunning Italian dessert recipe is as delicious as it is beautiful. 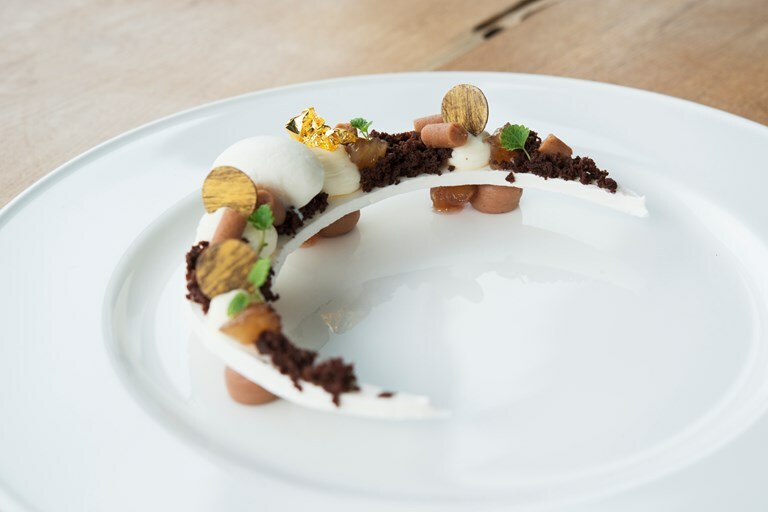 A thick chestnut ganache supports delicate crescent-shaped meringues which act as the base for all the other elements; a rich white chocolate ganache, an airy crumble of cocoa sponge and a luxurious milk ice cream. Viviana decorates hers with luxurious golden chocolates, but you can be creative with your presentation and add your own personal touch.